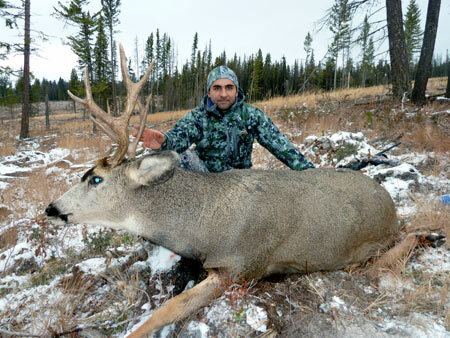 The Logan Lake area is a fantastic hunting destination. It offers close access from Vancouver and other larger cities, little human population in the area and an abundant supply of wildlife such as Mule Deer, White Tail Deer, Moose, Cougar, and Grouse. There are endless trails, logging roads and clear cut areas in the hills surrounding our resort providing access to some of the best hunting in the province. The resort offers clients warm comfortable accommodations in the hunting season, a store with some supplies, and a safe secure hanging area. Guests are encouraged to check the regulations in order to determine opening dates and hunting regulations. You can download the main regulations booklet here.